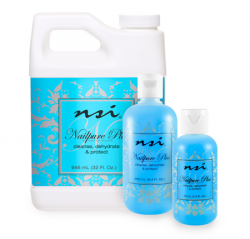 After prepping the natural nail, use a Nail Wipe saturated with Nailpure Plus to wipe the nail. snuggly fit a Platinum Nail Form. 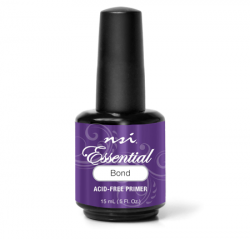 Apply Essential Bond liberally to the natural nail. Using a dry mix ratio, place a medium sized bead of white powder near the smile line in Zone 1, and using the tip of the brush, gently press the smile line into place guiding and slightly pushing the product into the corner of the smile line. Keep the brush handle angled downward which will help to keep the smile line edge thicker and taper the extension edge. To crispen and define the smile line, back brush while the product is still moveable. Using Radiant Pink Powder, press out a medium size bead in Zone 2 just beyond the smile line. Press gently from side to side to coat the nail evenly. Place another bead in Zone 3 near the product in Zone 2. 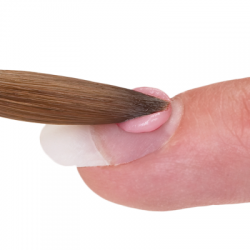 Angle your brush and thin the front of the bead so it leaves a tiny margin around the cuticle. 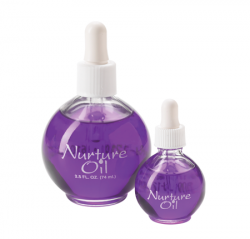 After product application is complete, allow the nails to surface set for approximately one minute until you hear a dull click. When working with Spa Nail Liquid the surface should feel slightly tacky. 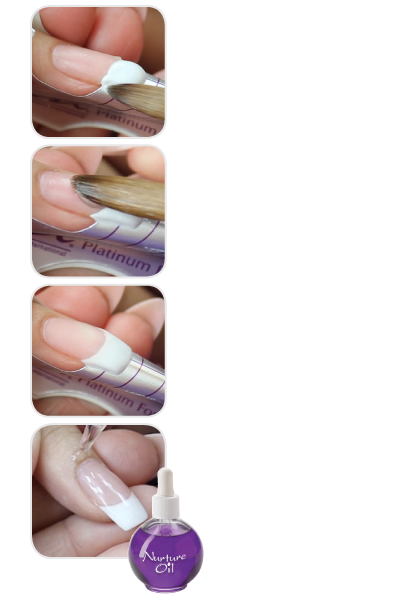 Saturate a Nail Wipe with Acetone and press the wipe to the nail and hold for approximately 30 seconds. 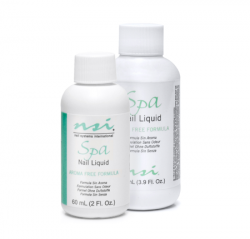 This will eliminate roll off, the tacky residue that occurs when working with Spa Nail Liquid. 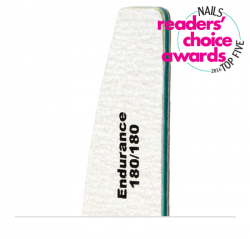 Use a clean, unused Nail Wipe saturated with Acetone for every 2 – 3 nails. 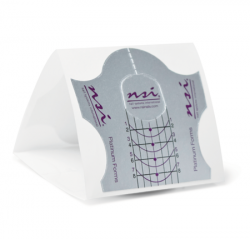 Using an Endurance 180/180 Grit File, define the shape. Remove excess dust with Plush Brush. Using a Nail Wipe saturated with Cleanse, remove any dust hiding in the side walls. 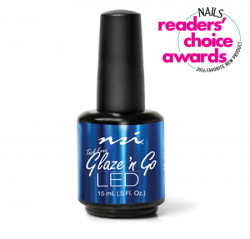 Apply Glaze ‘n Go LED, in polish style strokes, and cure in the Dual Cure Lamp, LED for 30 seconds or UV for 2 minutes.